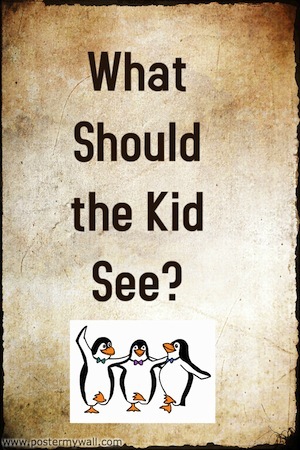 What should the kid see? According to Rion Nakaya, of The Kid Should See This, an eclectic set of short videos that I for one found Quite Interesting. Not necessarily made expressly for kids, the video clips are divided into nine main categories: SCIENCE TECHNOLOGY SPACE ANIMALS FOOD DIY MUSIC ART ANIMATION but see the quozio below for more details of the range of video clip categories. Not-made-for-kids videos for kids. Watched & collected by Rion Nakaya with her 2 & 5 year olds. Here's a sample, embedded below. It's an animation by Kozmonot Animation Studio about the illusion where the moon looks bigger on the horizon than high overhead. Do browse what's been curated at The Kid Should See This - the clips would be great to share with kids as a discussion starter or to prompt further research. There are lots of cool videos there - hope you have some time to browse!